I’ve got a lovely summer collection of polishes to share with you today. Caronia sent me their new Shades of Summer Collection which consists of six fun shades and includes something for everyone. I’m just going to get right into the swatches and tell you what I thought. All these photos were taken in my light-box. 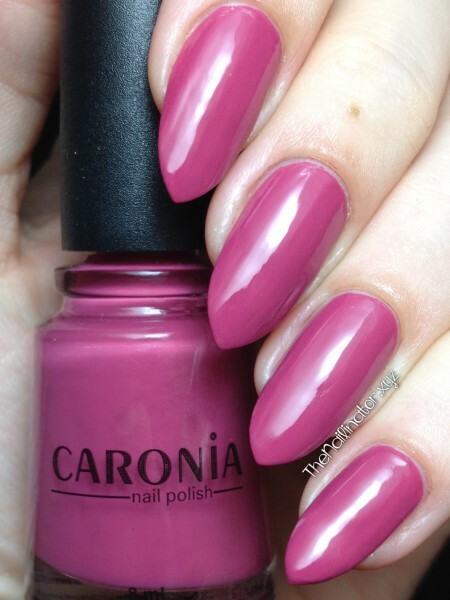 Summer Fling is a very pretty pinkish-plum creme. Its formula was just right, and I almost got away with using just one coat. I went ahead and used two to ensure no bald spots—because I’m OC like that. This shade is a fun color to sport during the summer without being too loud and crazy. Rainbow Tan is a work-safe tan/beige frosted polish. It has me a bit confused with the choice of name as this isn’t rainbow-y at all. It is tan though, so we’ll just go with that. The formula on this one was thinner than the rest and is the only one that needed 3 coats for full coverage. Frosted polishes tend to show streaky brush strokes and this one does just that, as you can see. 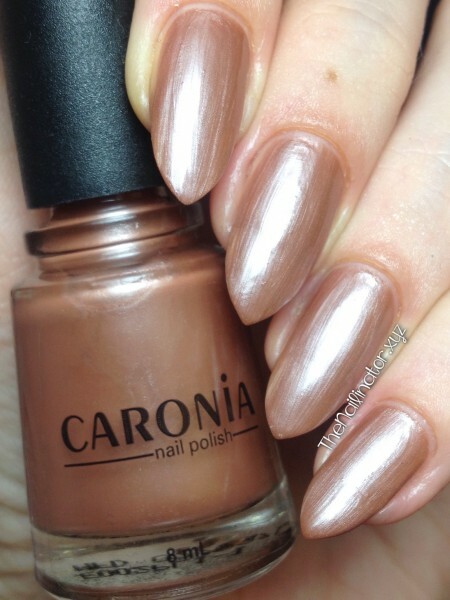 If you are into more muted shades and don’t mind frosted polishes then I’m sure you will love Rainbow Tan. It just wasn’t my cup of tea. Sun Kissed is a vibrant orange creme that screams summer! It was an easy two-coater, and I’m surprised how much I ended up liking it despite it giving me lobster hands (making my skin look pinker than normal). This one is not for the faint of heart. Ha! Sweet Surprise is right! 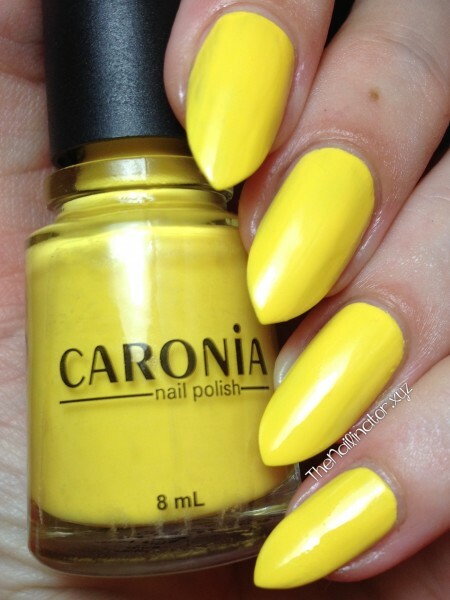 This is a fun, bright yellow creme. It has a shimmer in the bottle that can’t be seen on the nails. But that’s not a problem for me. Application was fine with two coats to full coverage. 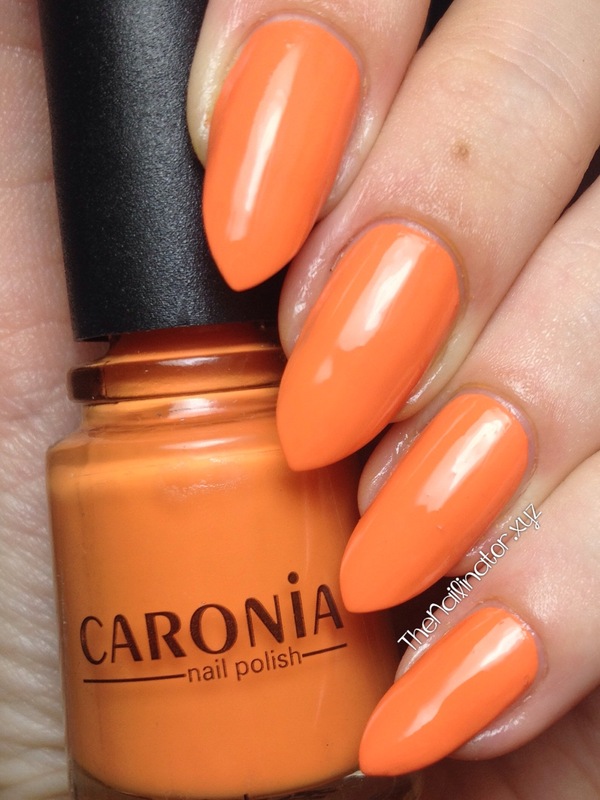 I love this shade for summer. So bright and happy! 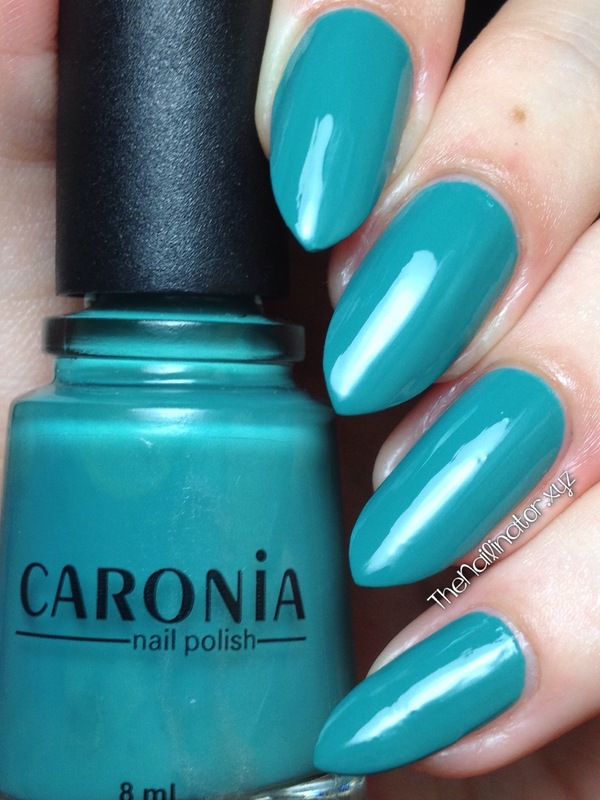 On-the-Go is a fabulous teal green creme that is almost perfect in just one coat! When I first used On-the-Go a while back, it really did have me “on-the-go”. I went to several stores looking for a bottle for my sister and a couple of back-ups for myself. I love, love, LOVE this polish! I don’t like many green polishes, but I do love this cool dark teal. First Crush is a very pretty, lilac purple creme. 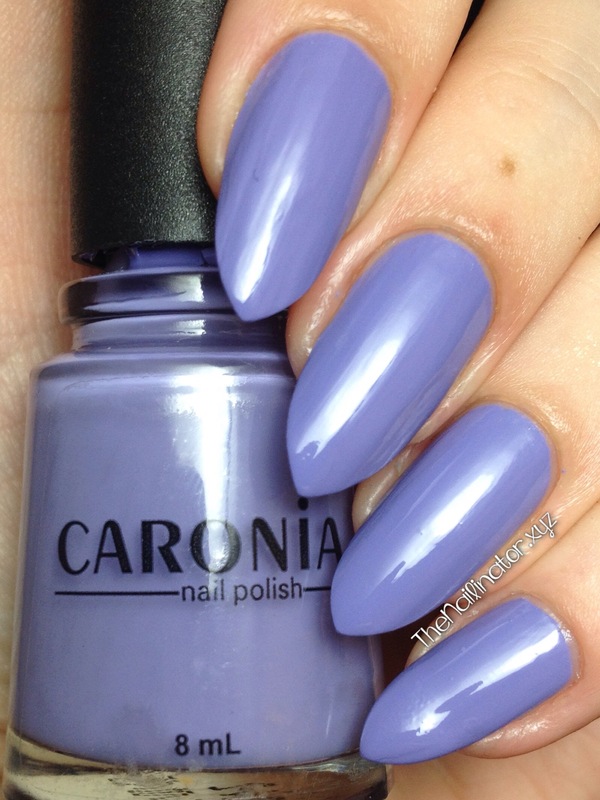 Who doesn’t love a pretty purple polish amiright? (Have I mentioned that purple is my favorite color to wear on my nails?) The formula on this one was just fine needing only 2 coats for full coverage. This one if perfect for all you girly girls out there! This collection has sophisticated, work-safe shades, bold pops of color, and cooler hues, too. There is something for everyone, I’m sure! These polishes have been reformulated and are 3-Free and dry fairly quickly. They are sold individually in 8ml bottles for (SRP) Php31 ($0.69) each at local department stores and grocery stores. The durability of this polish for the price is well worth it. It’s definitely a great budget buy. 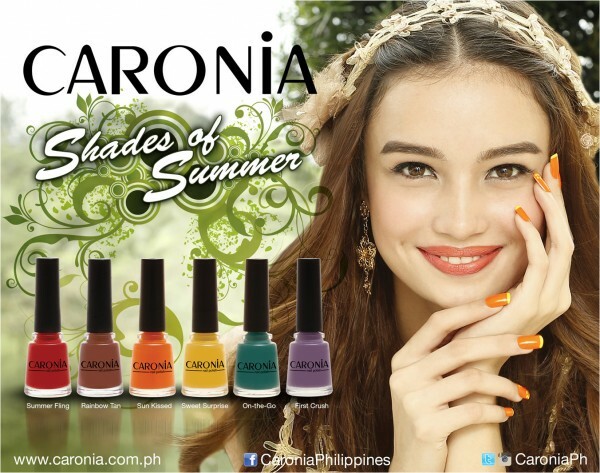 You can follow Caronia on Facebook and Instagram to keep up with them and their products. I hope you enjoyed this review and that you found my input helpful. Let me know in the comments which shade is your favorite. Keep your eye out for some nail art featuring these babies. Have a great weekend and don’t forget to make someone smile!